These lentil tacos are so simple. What takes the most time is prepping all the vegetables, and after that, it’s a cinch. It took about 45 minutes to make, start to finish, which is a bit long for a weeknight meal, but it was definitely worth the wait. I got the recipe from vegan cookbook, Thug Kitchen – which I’m putting out there, is not for the faint of heart. If it were a CD, it would definitely have the label for “Parent Advisory Lyrics.” That said, if you can look past the word choices in the recipe descriptions and look at the recipes, they are pretty great. I actually can’t believe how little of what I made is left – that’s how much everyone liked it! I suggest prepping the vegetables ahead of time, to make cooking this recipe even easier. We enjoyed without the salsa the author suggested, and I’m sure that makes these tacos even better. Even your meat-loving friends will love these! Cook the lentils with the water until boiling. Once boiling, simmer for 30 minutes or until lentils are tender, but not mushy. Drain extra water. In a large pan, heat olive oil and add onions. Cook until translucent. Add mushrooms and cook another 3-5 minutes. Add coconut aminos and lentils and stir. Add garlic and apple juice, stir and cook for a few more minutes. Turn off heat and add sesame oil. Stir in to combine. In a medium sized bowl, combine the jicama, carrots, and cucumber. Mix in apple cider vinegar and lime juice. Salt to taste. I’ve been working my way through The Love & Lemons Cookbook and was inspired to try a Moroccan Couscous recipe with quinoa instead of couscous. I had to make some tweaks, because quinoa cooks differently than couscous, but the result was really good. I also think it tastes better the next day, making this a great make-ahead dish for weeknight dinners or even lunchboxes. 1. In a medium sized pot, bring broth and water to a boil. 2. Remove pot from heat and add quinoa, cumin, coriander, turmeric, lemon zest, salt and pepper. Stir in and cover pot. Let stand for 10 minutes. 3. Move covered pot back to burner, over medium-high heat. Set timer for 5 minutes. Check after 5 minutes to see if liquid has been absorbed. Repeat for 5 minutes at a time until liquid is absorbed. 4. Once liquid is absorbed, fluff with a fork and stir in raisins and parsley. 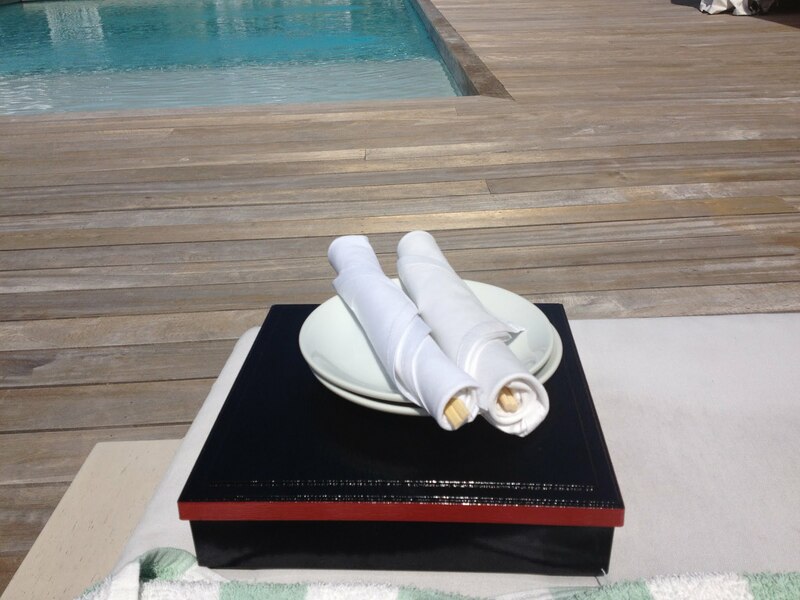 Can be served immediately, at room temperature, or can be refrigerated and served cold. For several years, I have been wanting to make my own salmon burgers. One of my family members makes the most delicious salmon patties every year for one of our family dinners – and intimidated by all the recipes to first cook and then flake the salmon, I just never tried. That is, until I found this recipe from Food & Wine magazine. All you need is a food processor (or I imagine a blender will do too) to chop up the salmon, mix in the ingredients by hand, and voila! This recipe is not only delicious, but it also is easy to freeze and thaw next day and/or prepare the night before cooking. We first made these for dinner with our friends, and this past weekend we made a whole batch for ourselves, because they’re just so good and easy. Do you have a great salmon burger recipe? I used 1 tbsp vegetable oil in nonstick pan for 8 patties – I’d say if cooking up a few, maybe use 1-2 tsp for every two – just eyeball what looks good – since it’s in a nonstick pan, it doesn’t need a ton of oil, but enough to brown the patties. To freeze, I wrapped each patty in saran wrap and put in a freezer ziploc bag. 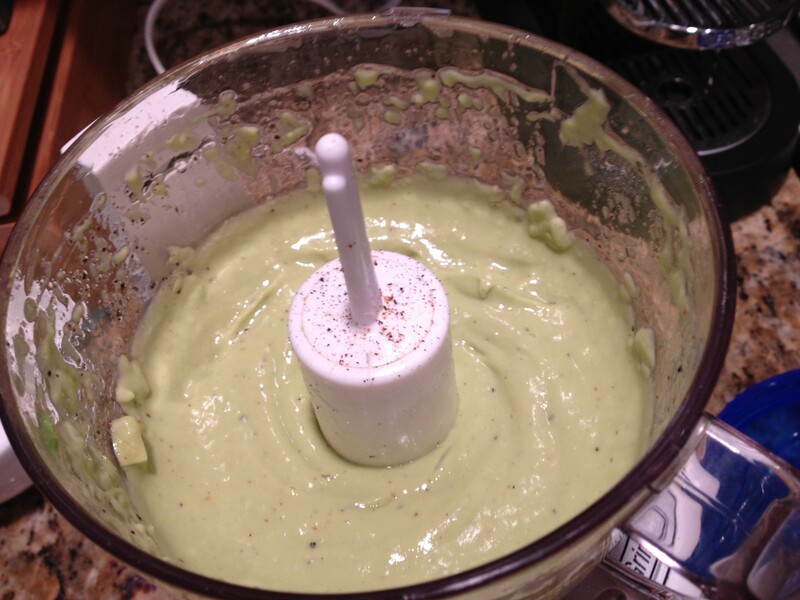 Until this weekend, I hadn’t considered using avocado in a Caesar dressing. 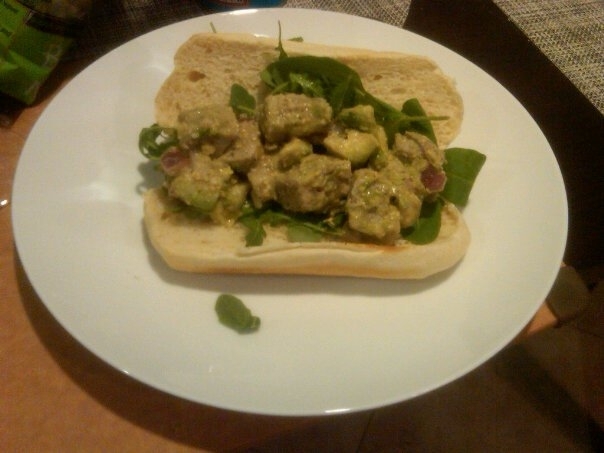 In anticipation of her new cookbook, I found a recipe from What Gaby’s Cooking‘s book Absolutely Avocado. I adapted it a tinge, and the result was really great. The recipe was straightforward and I made the entire recipe in my mini food-processor (smaller machine, smaller clean up!). Scott said it was a great salad dressing for lunch. He prefers the Vegan one for dinner. I tried to ask what specific qualities brought him to this decision, but I couldn’t get a straight answer, so I guess we’ll just go with it as is. Try this one at home and let us know how you like it. Would you say it’s more of a “lunch dressing” too? I used three garlic cloves instead of 1 or 2. One more would be fabulous too. We used the Parmesan cheese, but I think it could easily be omitted. Perhaps add a bit more salt and pepper if doing so. Cut avocado in half lengthwise and remove pit. Remove flesh of avocado with a spoon into the bowl of a food processor. Add the remaining ingredients and pulse about 2 minutes until smooth and creamy. Adjust the salt and pepper if needed. Use immediately, or refrigerate for up to 3 days. Lobster Rolls don’t mean a thing to me, but Tuna Rolls sure do. Before I lived in Boston, I never knew about Lobster Rolls (rightfully so, coming from a family that keeps Kosher-ish). I remember the afternoon like it was yesterday, I took the train to Rockport and grabbed lunch at a quaint cafe. I don’t remember the name of the restaurant or what I ordered, but I do remember the lobster roll the couple next to me ordered and thinking, “it’s served on a hotdog bun! ?” Fast forward about three years, when I saw a Barefoot Contessa episode where she made Grilled Tuna Rolls – this I could do. I LOVE tuna, in all forms (albacore sushi, seared ahi, tuna salad…) and this recipe definitely makes my list of favorites. I like to make it on extended weekends (like Memorial Day this weekend! ), and we’ll usually enjoy it for a few days. I might not be bringing them next door to my neighbor, Rob Marshall, but hey, I think making them for us is a pretty good second best. We found it better to dice the tuna in small 1/2 inch cubes, rather than 1-inch. We made it both ways, and felt the smaller pieces were easier to eat. A few weeks ago, I shared the soup that gave me a newfound appreciation for butternut squash. Today, I’m sharing yet another version of my turkey sandwich, inspired by leftover squash puree (from our Black Bean and Butternut Squash Tacos) and sheer curiosity of what else I could use that puree for! 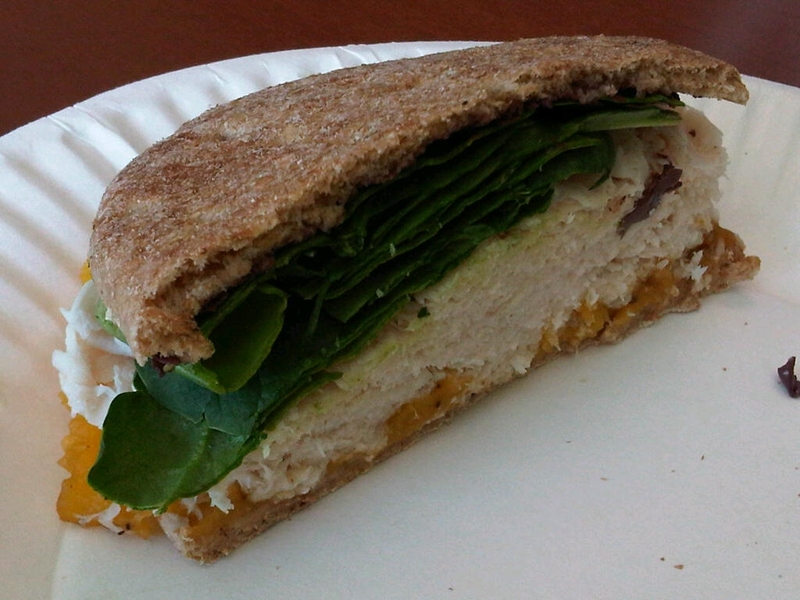 This sandwich features olive tapenade, spinach and butternut squash puree – in addition to my regular sandwich staples: whole wheat sandwich thin, turkey and Maple Grove Balsamic Dressing. What are some creations you’ve made for weekday lunches? Last week a recipe for Grilled Salmon with Quick Blueberry Pan Sauce caught my eye with the pairing of blueberries and fish – a combination I’ve yet to try. As I was rushing out the door for work the other day, I decided it could likewise be an interesting experiment to put my favorite blackberry preserves on a turkey sandwich for lunch. Searching the refrigerator for one more thing to add, I grabbed some basil, put items in baggies and was out the door. 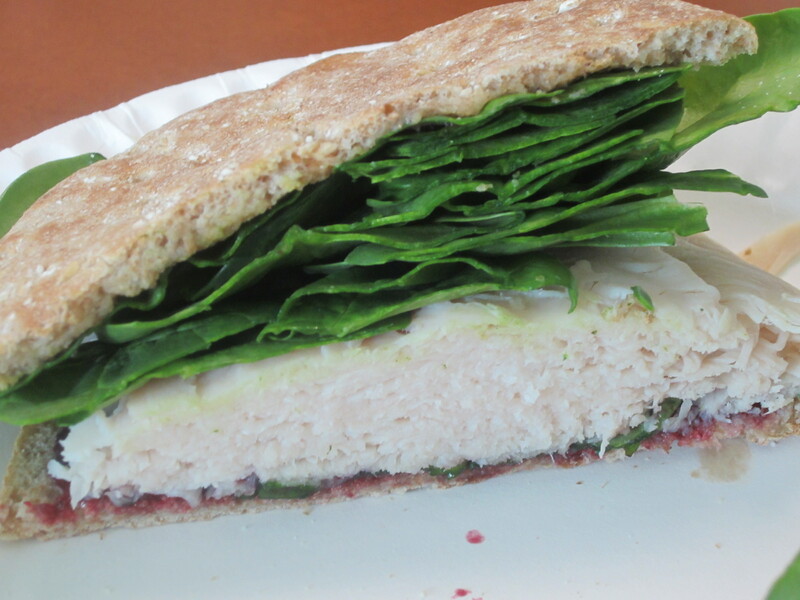 I mentioned last week that turkey, a sandwich thin, baby spinach and balsamic are my lunch go-to’s – and adding the blackberry preserves and basil to the sandwich was even better than I imagined. The basil makes the sandwich a standout and leaves me curious what other herbs and types of preserves might also work well. 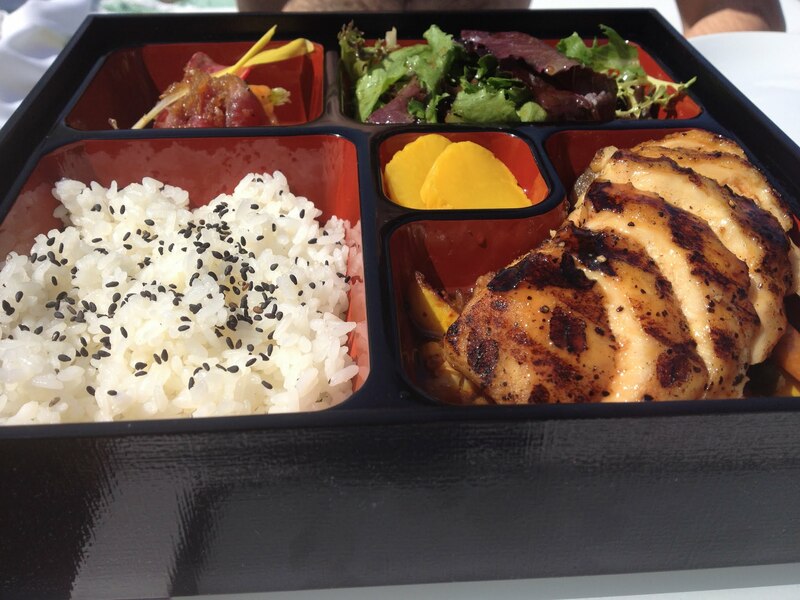 Bringing lunch to work doesn’t need to be monotonous. In the past months, I have worked hard to come up with some ways to keep it fresh. For me, this means having a fridge at work and home, stocked with some essentials. 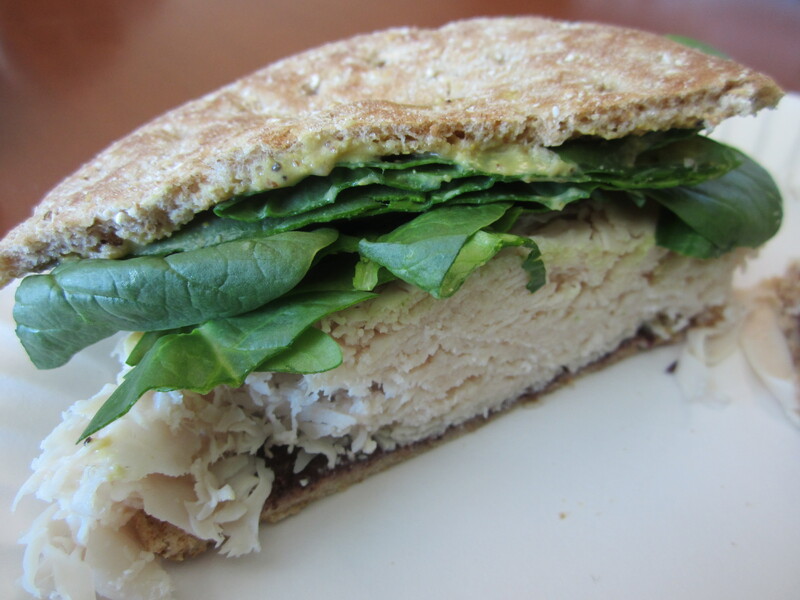 What are your lunch go-to’s?